Help WMOT pick the top 895 Americana Songs by voting in our poll today! When the list is complete we will play back all 895 songs to celebrate our 50th year on the air at 89.5 FM. On a sunny late afternoon last September, the band Nefesh Mountain prepared to take a stage in front of the North Carolina state capitol. They could see a half mile down Fayetteville Street, where tens of thousands of people mingled and moved among eight different stages at Raleigh’s Wide Open Bluegrass festival. A good crowd was left over from the prior act. It seemed like an ideal setting, but singer Doni Zasloff suddenly got uncharacteristically anxious. Sam Morrow and his band rocked The Backstage for our 895 Sessions March 13, 2019 during SXSW in Austin, Texas. Watch his full set! Siobhan Kennedy is an enthusiastic music diplomat between those two nations famously divided by a common language. Raised in Liverpool, England, hometown of the Beatles and Echo & the Bunnymen, she’s a one-time recording artist, a long-time Nashvillian, and wife of record producer Ray Kennedy. She’s also a board member of the Americana Music Association UK, which recently had its fourth convention and awards in London. Early this year, she said strong ties between the US and UK scenes had created a potent situation. Murfreesboro, TN – Gerald Wilson talks about his amazing 7 decade career. Murfreesboro, TN – It's been forty years since the great vocalist died. Murfreesboro, TN – A former MTSU student is one of 17 killed in a Blackhawk helicopter crash in Iraq. Former and future soldiers pay tribute. Smyrna, TN – The story of the "Boy Hero of the Confederacy" comes to life with the addition of a new museum and visitor center at his historic home. Smyrna, TN – The long awaited Sam Davis Visitor's Center and Museum will open to the public on November 22, 2003. This $1.25 million expansion will include a museum store, conference room, and most importantly, a 2,800 square foot museum. Murfreesboro, TN – Former Vice President and MTSU adjunct professor Al Gore talked recently about the connection between the growth of mass communication and the spread of democracy. Randy O'Brien – In the late 50s and early 60s, Nashville was a place where jazz and rock greats came to learn their chops. Randy O'Brien – Nashville's first gas station pumping a special mix of low-emission fuel opened recently. Murfreesboro, TN – A jazz great takes a look at the future of America's purist and only original art form. Nashville, TN – The prison's gone and so are some of the inmates, but this award-winning piece tells the story of long-ago dreamers who learned to escape via their imaginations. NASHVILLE, Tenn. (WMOT/AP) -- A Tennessee House subcommittee yesterday derailed an effort to extend to contract workers the same protections from sexual harassment enjoyed by fulltime employees. Nashville Democrat Bob Freeman introduced the bill, saying music industry contract workers have few legal options when harassed on the job. He called on mid-state singer, songwriter Bri Murphy to share her experiences with lawmakers. NASHVILLE, Tenn. (OSBORNE) -- Republican state lawmakers are divided over a proposal to limit the authority of police oversight boards like the one approved last fall by Nashville voters. Earlier this month, the Tennessee House passed a measure stripping such boards of subpoena power. During committee debate, Republican Majority Leader William Lamberth insisted giving such boards the ability to compel witness testimony would put police officers at risk. Have an old vehicle sitting in your driveway? Donate your used vehicle to WMOT, we will do all the work, all you have to do is sit back and relax! Our qualified donation support team is ready to work out all the details of your donation. We will even haul your car away for free! Call 888-WMOT-CAR. 888-966-8227. You can also donate online . Become a member of WMOT and support locally programmed, community radio...and it's tax-deductible! Pope Francis has accepted the resignation of one of Chile's top cardinals, who is accused of covering up the sexual abuse of Catholic church members and discrediting victims. 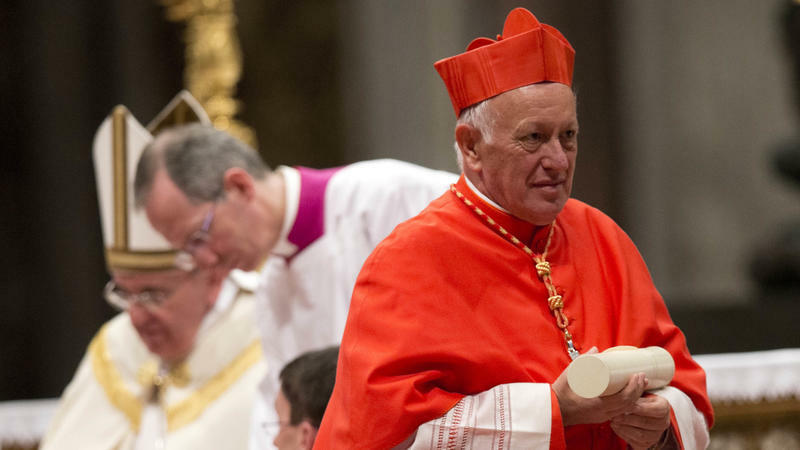 77-year-old Cardinal Ricardo Ezzati was the archbishop of Santiago, Chile's most important archdiocese.